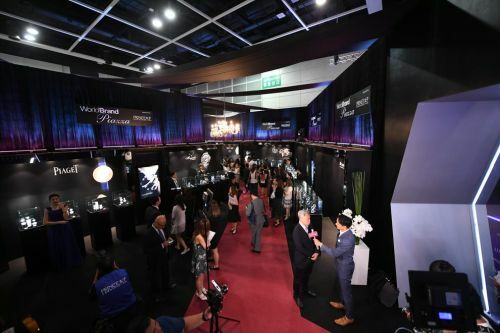 HONG KONG, Sept 4, 2018 - (ACN Newswire) - Organised by the HKTDC, the Hong Kong Watch Manufacturers Association Ltd and The Federation of Hong Kong Watch Trades and Industries Ltd, the 37th HKTDC Hong Kong Watch & Clock Fair opened at the Hong Kong Convention and Exhibition Centre (HKCEC) today and runs until Saturday, 8 Sept. The fair showcases complete watches, clocks, OEM (original equipment manufacturing) smart watches, parts & components, machinery & equipment, packaging, as well as trade services, providing a one-stop sourcing platform for global buyers. An opening ceremony was held this morning with Eliza Lee, Permanent Secretary for Commerce and Economic Development (Commerce, Industry and Tourism) of the Hong Kong Special Administrative Region (HKSAR) Government, as the guest of honour. The fair features 830 exhibitors from 25 countries and regions, with newcomers from Denmark, Poland, Saudi Arabia and South Africa. Leading exhibitors include Coffer Industrial (HK) Ltd, Comtech Watches Company Limited, Mira Watch International Ltd and Seiko Instruments (HK) Ltd. The concurrent Salon de TE shines the spotlight on more than 140 internationally acclaimed brands and designer collections at five thematic zones: World Brand Piazza, Chic & Trendy, Craft Treasure, Renaissance Moment and Wearable Tech. The World Brand Piazza, sponsored by Prince Jewellery & Watch for the ninth consecutive year, presents 13 renowned international brands, including two newcomers - PARMIGIANI FLEURIER and SARCAR Geneve - as well as returning brands Blancpain, Breguet, Chopard, CORUM, FRANCK MULLER, Glashutte Original, Jacob & Co., Jaquet Droz, Juvenia, Piaget and ZENITH. 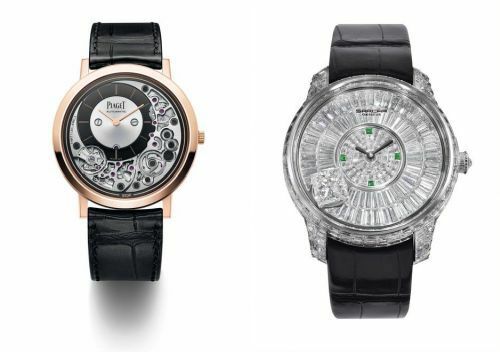 The HKTDC has organised 78 buyers' missions, comprising over 3,200 companies and 4,400 buyers from 58 countries and regions, including renowned watch and clock brands, retailers and wholesalers, such as Michael Hill Jeweller (Australia), Wempe (German), Tic Tac (Japan), Hyundai Department Store (Korea), Future Group (India), Radatime (Indonesia), Zibi (Poland), Norbreeze Group (Singapore), Konyali Saat (Turkey), Rivoli Group (United Arab Emirates) and Scorpio Worldwide (United Kingdom). The hktdc.com Small Order zone, located at Hall 1D-E Concourse, features close to 130 watch and clock showcases, targeting buyers looking to place orders for five to 1,000 pieces, while some of the products can be ordered online on the spot. The award-winning and finalist entries of the 35th Hong Kong Watch & Clock Competition are also on display at Hall 1B concourse to showcase local creativity to international buyers. 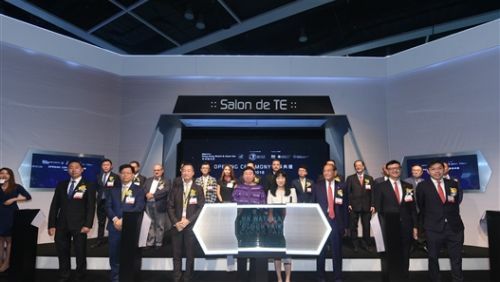 About 30 events - including seminars, networking events and watch parades - are being held during the fair period to facilitate exchange of market information among industry players. The Hong Kong International Watch Forum this afternoon gathered watch associations' representatives from all over the world to discuss future industry trends and the watchmaking industry's global direction. At the Asian Watch Conference tomorrow (5 Sept), renowned Swiss watchmaking expert Elmar Mock will share his insights on how to turn ideas into reality while Jorge Martin from Euromonitor International will investigate the role of smart pieces and forecast digital trends. Vincent Calabrese, iconic watchmaker and co-founder of Academie Horlogere des Createurs Independants, will introduce the creation of tourbillon watches on 6 Sept. Celebrities - including Jacquelin Ch'ng, Lisa Ch'ng, Derek Wong, Kitterick Yiu, Isabella Kau, William Lok, Rowena Ellen Cortes, Joel Chan, Cally Kwong, Candy Lo, Jade Kwan, Wada Hiromi, Christine Au-yeung, Chin Ka-lok, Ronald Cheng and Mark Lui, as well as famous auctioneer Jin Ling, climber Xia Boyu and bowler Wu Siu-hong - will take part in brand product launch sessions. Salon de TE will open free of charge to public visitors aged 12 or above on the fair's last day (8 Sept). More than 90 brands will conduct retail sales, enabling enthusiasts to go home with their favourite timepieces. There will also be a series of sharing sessions and activities where the industry can promote the latest watch trends. Visitors can also take part in two lucky draws to win fabulous prizes. Officiating at today's opening of the 37th HKTDC Hong Kong Watch & Clock Fair are (front row, from L): Lawrence Chan, Co-chairman, HKTDC Hong Kong Watch & Clock Fair Organising Committee 2018; Enders Lam, President, Hong Kong Watch Manufacturers Association Ltd; Kenneth Wong, Chief Honorary President, Hong Kong Watch Manufacturers Association Ltd; Eliza Lee, Permanent Secretary for Commerce and Economic Development (Commerce, Industry and Tourism), HKSAR Government; Margaret Fong, Executive Director, HKTDC; Samson Sun, Permanent Honorary President, The Federation of Hong Kong Watch Trades & Industries Ltd; Harold Sun, Chairman, The Federation of Hong Kong Watch Trades & Industries Ltd; William Shum, Co-chairman, HKTDC Hong Kong Watch & Clock Fair Organising Committee 2018. https://bit.ly/2Ngd6dg. The World Brand Piazza, sponsored by Prince Jewellery & Watch for the ninth consecutive year, presents 13 high-end brands.